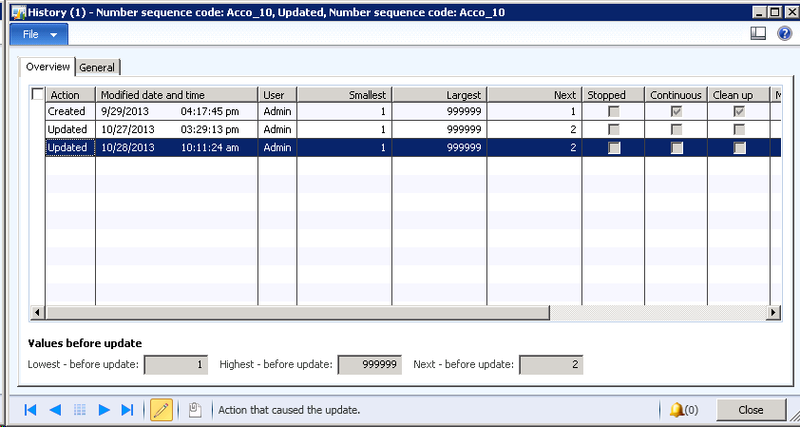 The administration of number sequences is performed by using actions provided in the Administration group on the action pane on the Number sequences list page. 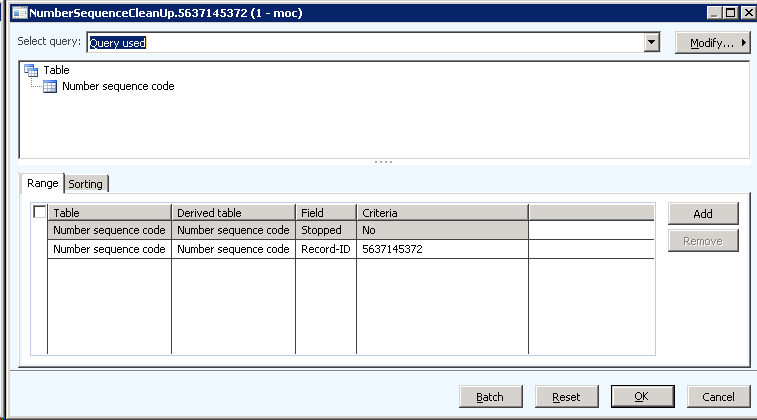 Provides a list of numbers that have been generated for continuous number sequences, but which have not been committed to the database. The numbers are either currently being used in a user session, are reserved for future use in a user session, or are free for use if a new client user session requests a new number for a particular number sequence in the list. 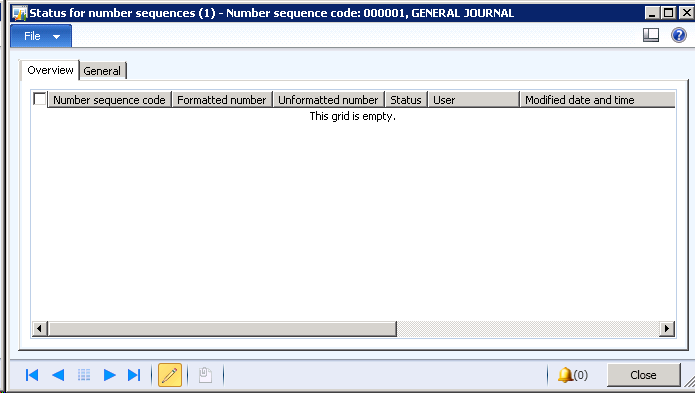 If a new number does not exist for a specific continuous number sequence, it is generated by the sequence number framework from the next value for that number sequence in the Number sequence table (NumberSequenceTable). 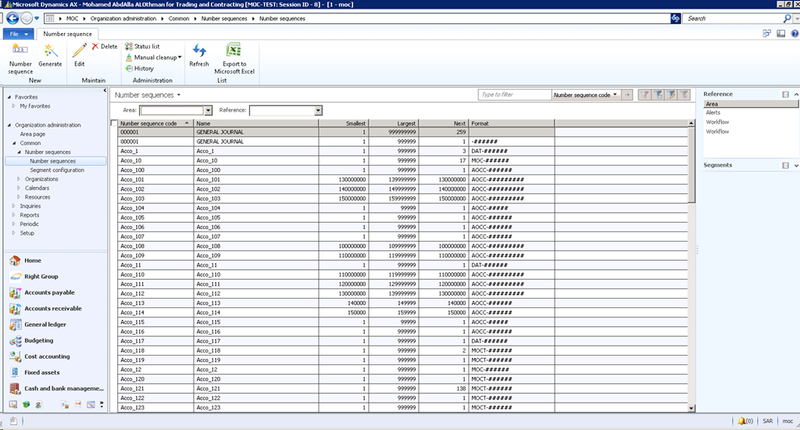 Allows the administrator to manually clean up numbers in the status list. Use of this option is only recommended after an unexpected system failure; in such rare circumstances, numbers might not be automatically cleaned up. Provides the history of changes to the number sequences themselves. 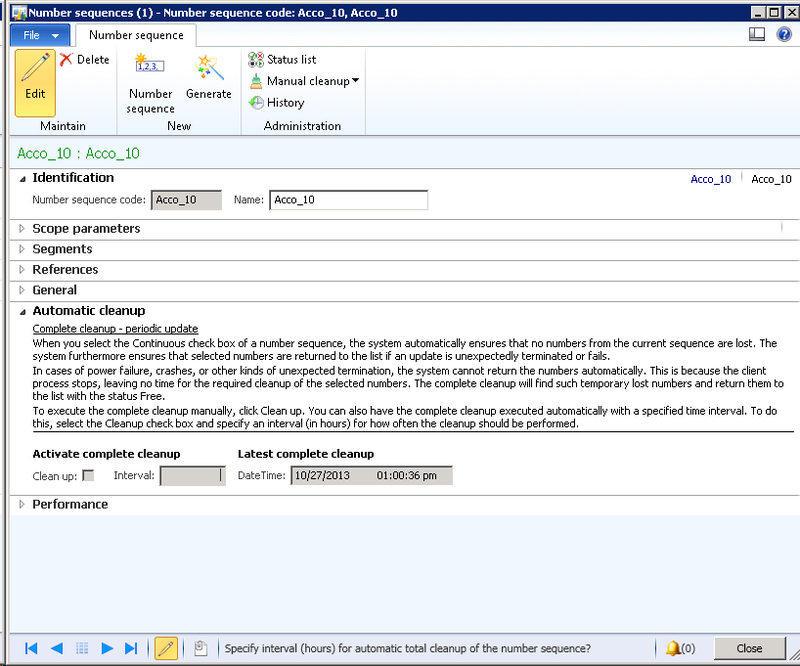 An administrator can also assign number sequences by using a page in the parameters forms in individual application modules. 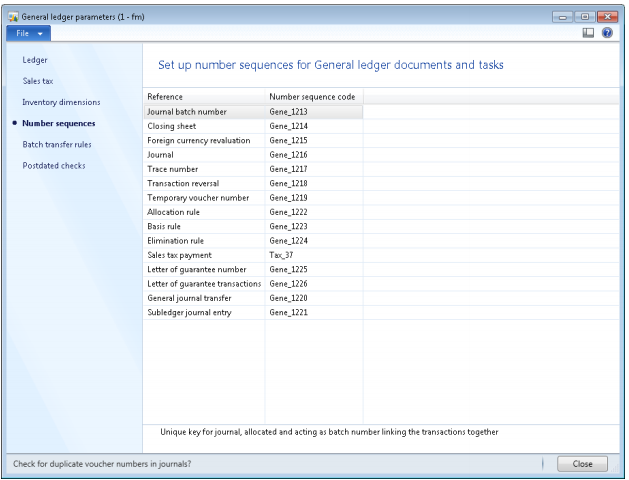 For example, you can view or assign the number sequences to specific references in the General ledger module. You can navigate to the form by using the path General ledger > Setup > Parameters.